Microlearning is facing a bright future. Not focusing on content memorisation anymore but including all kinds of learning activities in short-term technology supported educational settings, it combines technological with pedagogical challenges. 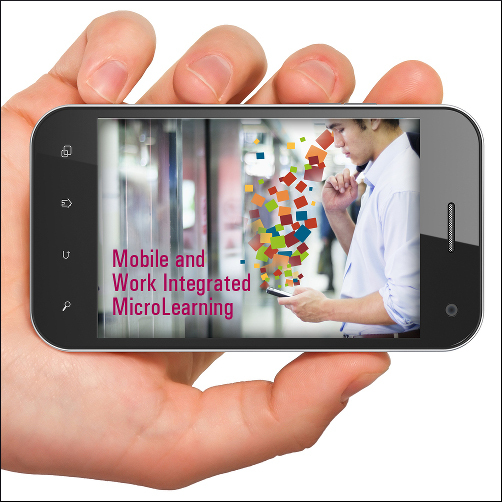 Our new study program “Mobile and Work Integrated MicroLearning” will start on 9th of December 2014. It aims to professionalize its participants for this new educational challenge. Graduates will be able to develop, implement and supervise technology based learning environments in organisations and turn them into sustainable learning organisations. Increasing expectations at the workplace and the growing demand for new knowledge are defining characteristics of 21st century society. The need for employee training in all professional sectors and industries is on the rise while timely resources for educational in-house programs are becoming more limited. Thus making mobile and flexible learning methods essential for human resource development and learning with mobile devices increasingly popular in part-time study programs. MicroLearning is suited for the just-in-time performance-based learning requirements of today’s workforce. With MicroLearning, education, knowledge acquisition and knowledge sharing becomes an ongoing activity without academic attitude but efficient use of breaks and free time for learning with measurable and documented learning success. on 25th of June 2014, 2pm (MEZ). The Webinar will be held in English and will start with a short introduction to the new master’s course on MicroLearning by the Course Director. Then I will give an insight into the importance and the role of MicroLearning for Continuous Learning and will answer your questions. The webinar is free of charge. You only need Internet access, a Flashplayer and a headset for joining us. For participation please register by sending an email to Christina Karner until 20th of June 2014. A detailed information on how to participate will follow by mail at the end of the registration time. Please distribute the attached flyer to your colleagues or people you believe are interested in micro and/or mobile learning. Beschriftung: MicroLearning: with MICRO steps to sustainable LEARNING success. Free Webinar with Peter Baumgartner. Dieser Beitrag wurde unter Auftritt, IMB veröffentlicht. Setze ein Lesezeichen auf den Permalink.